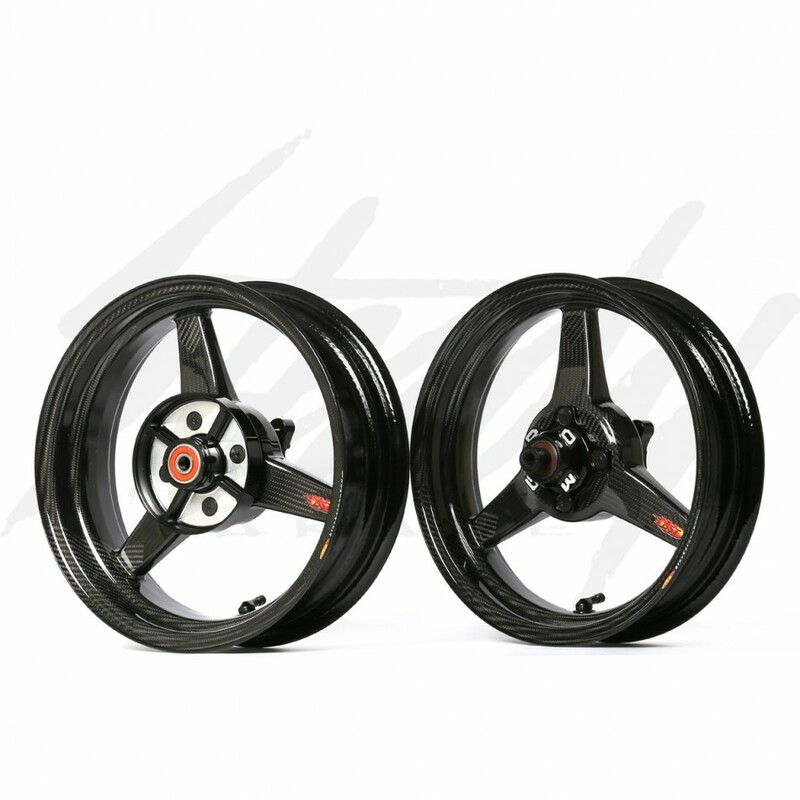 Weighing between 40 and 60 percent less than OEM rims, BST Carbon Fiber rims are currently the lightest rim set available for the Honda Grom 125! Strong, light, and beautiful! These rims are perfect for anything! 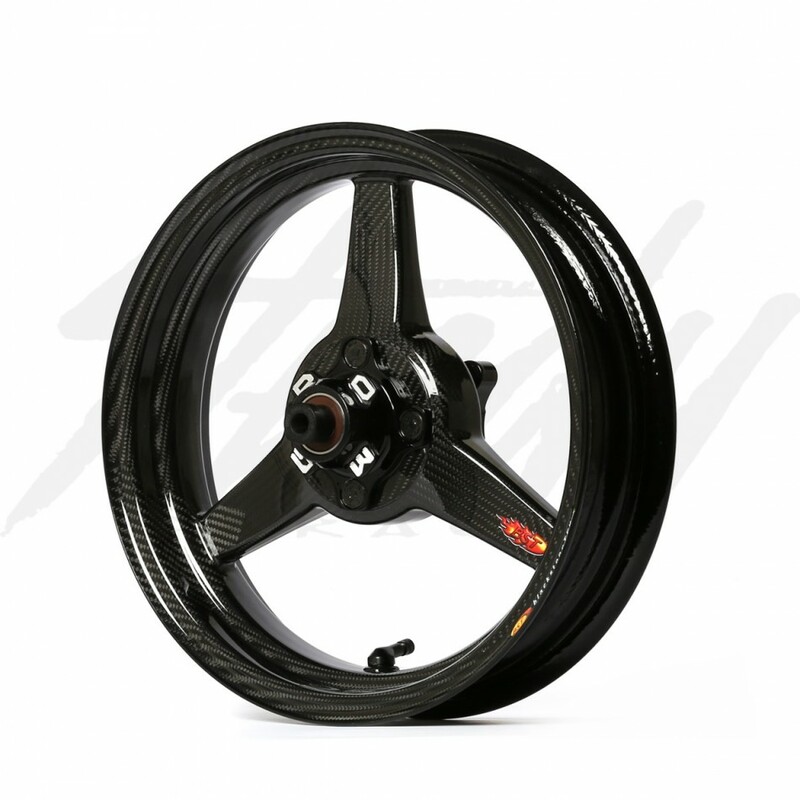 BST carbon fiber wheel set will definitely give your Grom over the top performance and a custom look! 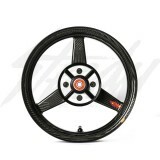 This set of BST rims are .5" wider in the rear than OEM size. 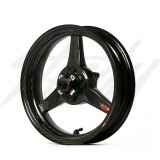 SIZE : Front - 2.75" x 12" / Rear - 3.5" x 12"
WEIGHT : Front - 3.6 lb. 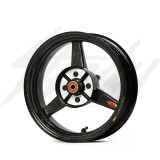 (1.63 kg) / Rear - 4.05 lb. (1.83 kg)Add .35 lb. 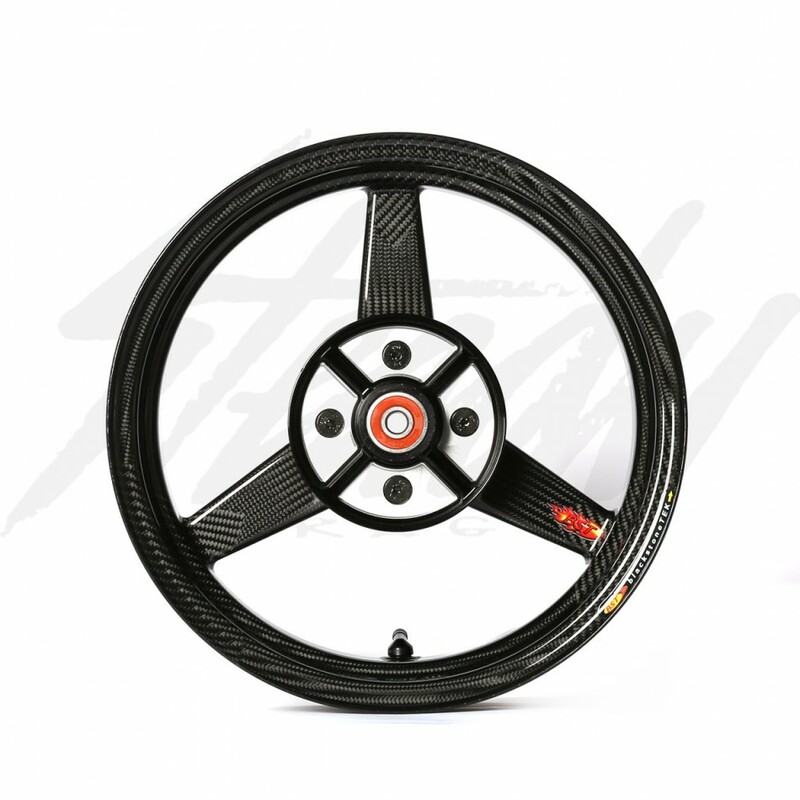 (0.158 kg) with Worldwide Bearings ceramic bearingsAdd .45 lb. 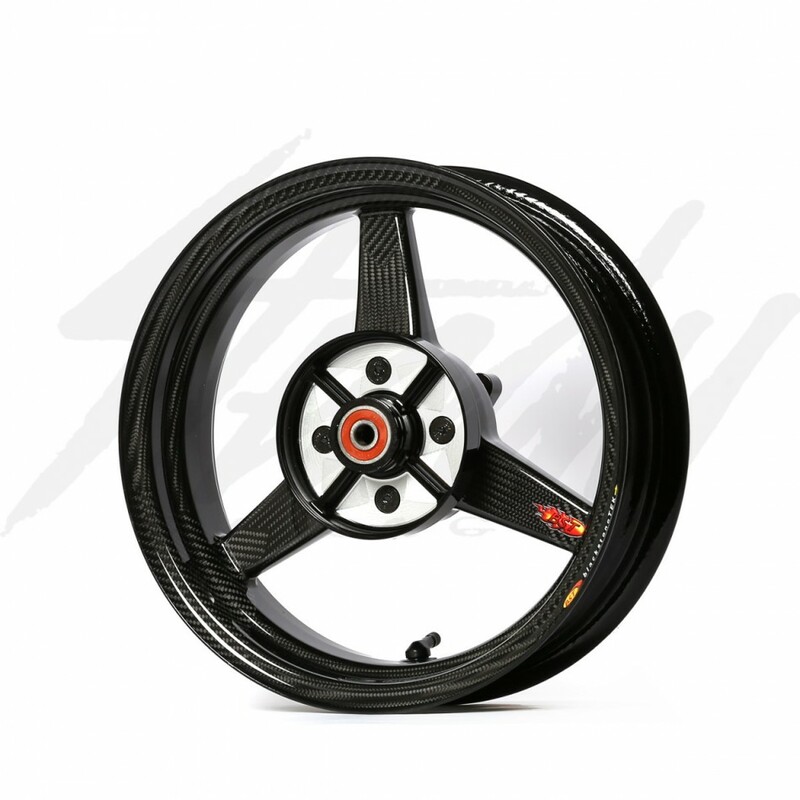 (0.204 kg) with Worldwide Bearings steel bearings OEM Wheel Weights: Front - 5.8 lb. / Rear - 6.9 lb. 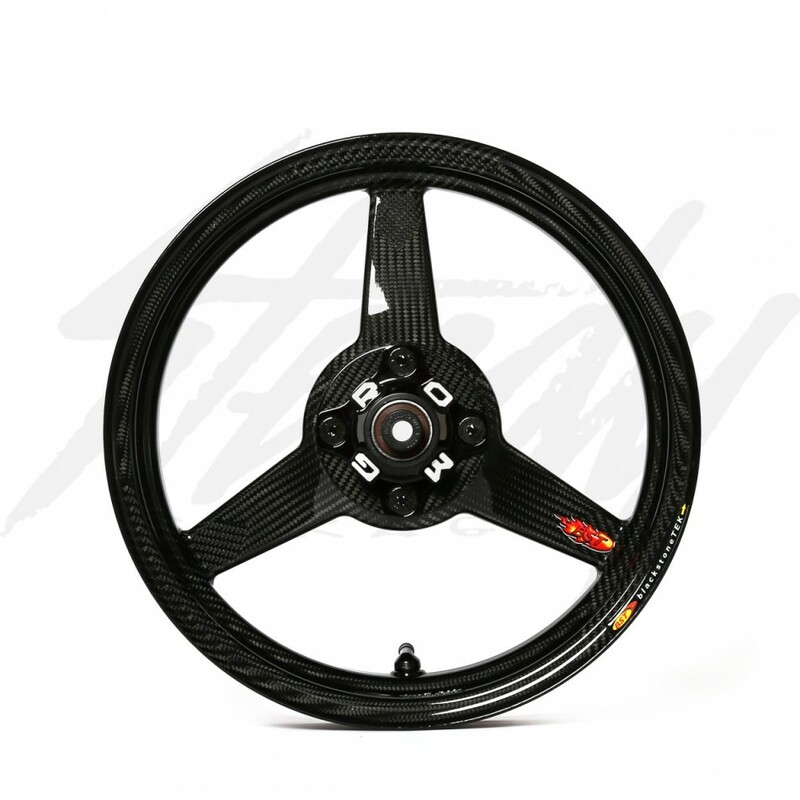 BST works with it's suppliers to ensure we get the best and most advanced materials for our wheels. Since December 2011 BST has been using carbon from Umeco Structural Materials (USM) that is impregnated with the EF1808 resin system explained like this:"The EF1808 resin formulation resulted from a dedicated research program undertaken by USM to develop a significantly toughened epoxy prepreg resin with improved flow and handling characteristics, but without the reduction in temperature resistance that so often results. The development of the epoxy prepreg resin and the way it interacts with the continuous reinforcement fibers necessitated investigation of the resin polymers at the molecular level where measurements are made in millionths of a millimeter. This detailed understanding of the resulting composite structures was the key to achieving significant improvements in the product’s performance. "The new system in its fully cured condition displays improvements of more than 30% in both damage tolerance and fracture toughness (as measured by Compression Strength After Impact and G1c Fracture Toughness respectively) whilst maintaining its temperature resistance (Tg).